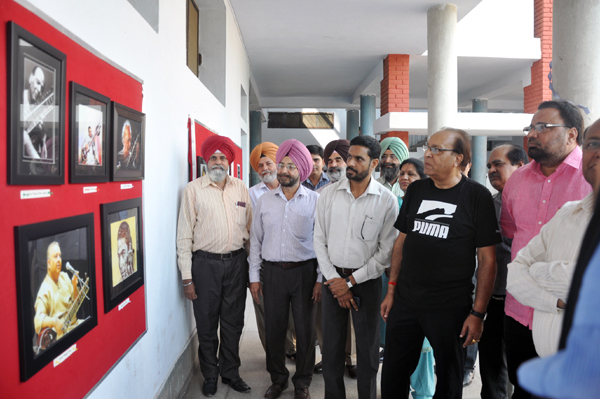 A photo exhibition – DHAROHAR – displaying photographs of the Musicians of Patiala Gharana, monuments of the Royal City of Patiala as well as rare photographs of the college, was organized by the Heritage Society of the college. Dr. Rajinder Singh Gill, Director, North Zone Cultural Centre, Patiala and eminent sitarist Sh. Narinder Narula, a disciple of Ustad Vilayat Khan Sahib, inaugurated the exhibition. 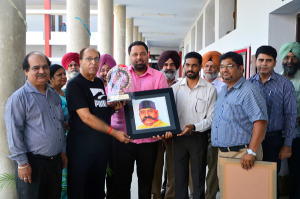 Dr. Gill appreciated the efforts of the society and said that such exhibitions can play a great role in making the young generation aware about the art, culture and architecture of Patiala city. He further said that NZCC will provide all types of help in organizing such activities. College Principal Dr. Khushvinder Kumar, while welcoming the guests, disclosed that Heritage Society of the college is engaged in making the students aware about the cultural heritage of Patiala city. Prof. Harmohan Sharma worked very hard to make this event a success. Dr. Manmohan Sharma and Ms. Vanita, along with their students from the Music Dept of Punjabi University were also present on the occasion. 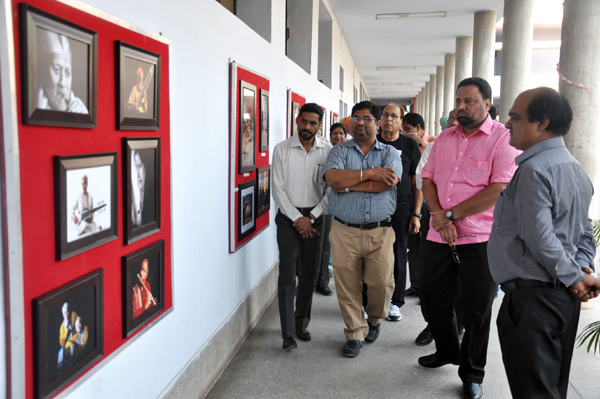 The teachers and the students of the college took keen interest in the exhibition and shared their views. Prof. Nirmal Singh thanked the guests and the organizers of the exhibition.